Welcome back to our curated blockchain and cryptocurrency news where every week, we select the most important and relevant events and stories for an easy overview over the happenings of the last seven days. If you have missed the previous list, here is a link for you to catch up with what went down in the week before. 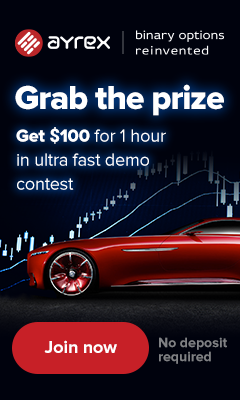 This series is tailored for people that want to keep a pace with the crypto and blockchain space, but do not have the time to do it consistently. You can explore the stories via short summaries, providing you with direct insight into the happening of the last week, including the days from October 9th to 15th in this list. Without further adue, let’s get to the stories. Crypto Finance’s asset management branch Crypto Fund, had received an upgrade to the limited license it previously had by the Swiss Financial Market Supervisory Authority, i.e. FINMA. With this upgrade, Crypto Fund can manage funds originating from Switzerland, and it has been permissioned to provide advice to institutional investors. This gives it the same level of access and capabilities like regular asset managers. Switzerland is making leaps and bounds to continue being dubbed as the “Crypto Nation”, and following this success, other asset management companies are lining up in hopes of receiving a similar license. Snapshot from CSIRO’s website, press release link in content below. According to a press release by the Commonwealth Scientific and Industrial Research Organization (CSIRO), one of their branches called Data61 is partnering with the Commonwealth Bank (CBA) to create “Smart Money” which will strive to enhance the experience of stakeholders involved with the National Disability Insurance Scheme (NDIS) including both service providers and participants. They hope to create an app that is capable of recognizing the types of expenditures that participants make and of managing their budgets according to category. For now the prototype enables participants to find, book, and pay for services provided by the NDIS platform, but if successful it will facilitate a new wave of trust and practicality, both of which are very necessary for this technology (and its modern tendency for application) to thrive. Following a news story by CNBC, where Arjun Kharpal reported on the short movement of BTC, ETH, and XRP. After BTC lost approximately 5%, ETH and XRP followed with a -10% reduction in price per token. At the time of writing the market has already somewhat recovered from this price movement, indicating that the market has lost US$5 billion. What Arjun is talking about is very true, when he says that BTC’s price movement regularly influences other crypto assets. Just like we saw in the great pump of 2017-2018, where BTC skyrocketed, and brought with itself many other currencies, tokens, and digital assets. INAYA PUTRI BALI, PundiX team is co-organizing the XBlockchain Summit and on the second day they had a public demonstration of a fully decentralized phone call. No gimmicks. The call was made on the proprietary PundiX blockchain phone, promptly called “XPhone”. 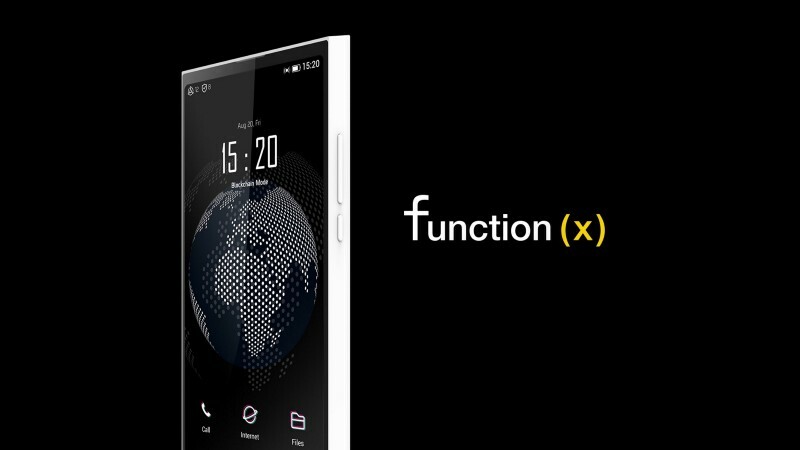 The XPhone leverages another of PundiX’s invention, the Function X blockchain solution, which enables the phone to operate independently of mobile carriers. They explain the technology is not isolated to just a public blockchain, and urge the public to look at Function X as a complete solution. It consists of an operating system, the public blockchain, IPFS, FXTP Protocol, and a Docker, all dubbed with the Function X branding. They want to create a good and productive environment for high-quality crypto companies, and they want to stay away from the prospect of attracting entrepreneurs that are interested in a relaxed regulatory environment. Singapore claims a great deal of responsibility in its growth in this ecosystem and this is reflected by the approach taken on the side of regulators. They are looking to simplify access to banking services for entrepreneurs, by getting the Monetary Authority of Singapore to provide direct support to those companies that are experiencing difficulties in their process to get bank accounts. Jim Yong Kim, the president of the World Bank Group (WBG). After experimenting with a blockchain-based bond the president of this organization is speaking at the annual International Monetary Fund meeting, saying that they are not taking full advantage of the latest technological developments. He proceeds to talk about the fact that not only cryptocurrencies should be interesting for the WBG, but also distributed ledger technologies, i.e. the blockchain. In his eyes, this technology has already proven to eliminate and lower costs associated with the management of a bond. He is curious to know how it will provide additional value in terms of dealing with corruption, eliminating poverty, and how the technology can help the organization to leapfrog into the future and eliminate the negative effects of hundreds of years of bad practice. Dr. Nouriel Roubini and Peter Van Valkenburgh debate in front of the Committee on Banking, Housing, and Urban Affairs about the good and bad sides and implementations of blockchain technology. We have no information regarding findings or decisions made based on this hearing. If you would like to see the full debate, you can find it through this tweet below. Leaving the Trump administration in March, Gary Cohn is now looking at his latest career decision, blockchain. According to CNBC, Gary hasn’t made a lot of public appearances since leaving the administration, we think that it’s fascinating to discover that such a prominent political figure and economist is supporting blockchain. “I’ve been interested in blockchain technology for a number of years”, says Gary, and now he is going to help SpringLabs create the blockchain solution that will protect credit information and identity for consumers. Their endgoal is to make a streamlined process which will provide benefits to all stakeholders in the purchase experience. A classic blockchain approach, and one that not many have managed to fulfill. We strongly recommend reading this article, where the discussion is followed through and a lot of useful commentary can be found. Generally there is no reason to believe at this moment that it will happen, but considering the passion and enthusiasm behind both of the would-be participants it is hard to imagine it not happening. Both Nouriel and Vitalik are willing to have the debate, but they are looking for somebody that is un-biased and legitimate to moderate the discussion. If you know somebody, feel free to recommend them over Twitter. We hope this comes to become reality, as our respect for Dr. Nouriel grows by the second, even if his overall negative sentiment is not something we share. The unapologetic approach he has towards eliminating the involvement of “bad” crypto companies is a refreshingly honest perspective. CoinTelegraph have done a great job to create a nice read in regards to the statements and arguments made during the US Senate Gathering we covered in this article on day October 12th as the top cryptocurrency news story. It is a valuable summary of the live event, and you can also listen to it if you are driving, which promises to bring you up to speed on the overall conversation. Forbes contributor Billy Bambrough explains why Bitcoin has made such a rapid recovery after the major sell-off that lowered the total market cap by US$13 billion an event we mention above. He connects the recovery to a Tether sell-off which was the only cryptocurrency down at the time of writing his article. In his article he talks about a lot more than this, covering Nasdaq and the stock market, as well as the unusual disconnection between falling Bitcoin prices and raising stock prices, which was the status quo. For the first time, a dip in Bitcoin is reflected by a dip in the prices of tech company stocks. The partnership consisting of 26 European Union member countries, a party that only Croatia and Hungary have yet to join. The partnership is dedicated to fulfilling the goals set forth in the Joint Declaration a document detailing the entire process. The partnership wants to create the most powerful blockchain system that will provide cross-border, blockchain-powered public services and will be useful for all EU country members. Fidelity Digital Asset Services (FDAS) is a branch of Fidelity Investment, the financial services company that will be responsible for all operations regarding cryptocurrencies and digital assets. This move by the company suggests that there is a strong sentiment from Wall Street to get deeper into the crypto action, and provide investors with a safe and reliable environment. It also reveals investor sentiment, which is to continue to participate in the crypto and blockchain ecosystem. It seems that Nouriel Roubini was the face of the news scene for quite some time in this past week, as the most popular and relevant stories come up with his name on it. There is such passion and drive in that man, and he speaks with great conviction against cryptocurrency and blockchain. This is a welcome change and we expect that overall is going to create incredible amounts of value for everything blockchain related. The point is that anti-blockchain needed a voice, and Dr. Nouriel is more than happy to step up to this position and wage war on all crypto and blockchain individuals and entities.